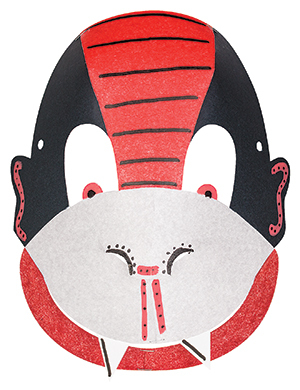 Scare anyone this Halloween by decorating these friendly animal masks as scary monsters and creatures. Use you imagination to come up with a scary way to portray this animal or create it into something completely different! 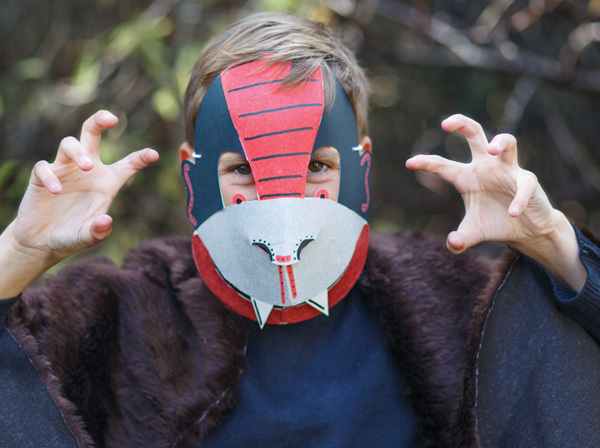 Choose an animal mask and try to come up with a different way to use the shape to create a scary monster/creature. Begin collaging the mask as a flat mask taking note of where any folds etc are marked. Add decoration and detail with Posca Markers for extra interest.